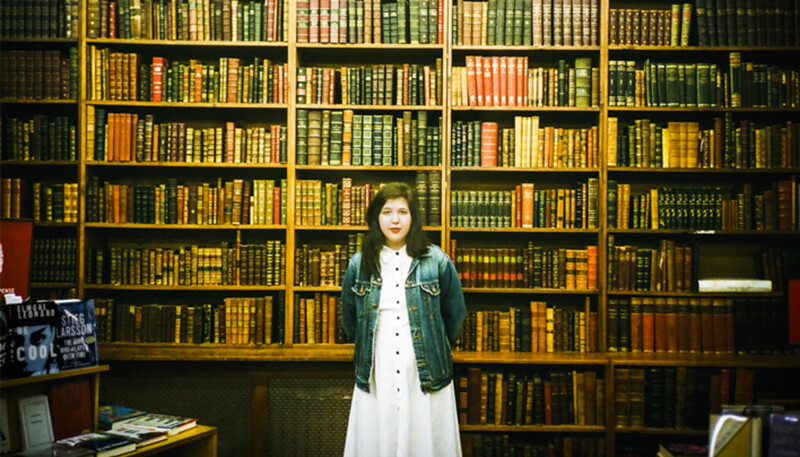 Like her label mate Julien Baker, Lucy Dacus found herself the subject of a bidding war following the release of a debut album that was written purely as a college project. Two years on, the Richmond, Virginia, singer-songwriter explains how she’s adjusted to a full-time career in music and the accompanying media scrutiny, and shares the story behind her “posi-nihilistic” second album. Are we right in thinking your debut album was written as part of an academic project? Yeah, it was our guitarist’s school project. He was studying guitar at Oberlin College and Conservatory. I just had enough songs for a record and he asked if I wanted to do it, and I said yes, and he passed his class. (Laughs) But we had essentially one day [to record], and we arranged all the parts in the week beforehand. I’d never had a band before so the album is the first time I heard the songs with the band, and there was no time to learn anything or react or grow. So I’ve grown since then, but that was the genesis. Were you planning to pursue music professionally? Nope. I was studying film. I had done a year at art school and done a semester in film specifically and then took time off to travel. I actually came to Europe and travelled, and then didn’t go back to school because I didn’t want to pay for it. The course was too expensive to feel like it was the right decision [to continue], so I just got a job. And I recorded the album in that time off. Once it was finished I thought it deserved better than a quick upload to Bandcamp, so I asked around in my town to people who had toured and left Richmond, Virginia – like, how did they do it? I did a bunch of emailing and booked our own tours, and ended up signing to a local label called Egg Hunt Records, and they put out a really small run [of the album]. And when they released the first single, I just got a flood of emails from labels and managers and booking agents and publishing companies offering representation. So it was great to have choices but also very intimidating to make the right one and find people that I actually trusted. But it worked out. It’s hard to accept that this is what my life actually looks like now. It’s a disbelief that keeps me humbled but also keeps me really unsettled. Presumably life changed very rapidly for you. How has the period of adjustment been? Umm, it’s been rocky. It’s hard to accept that this is what my life actually looks like now. It’s a disbelief that keeps me humbled but also keeps me really unsettled, you know? I feel really grateful but also I feel really unbalanced because I am just now getting used to what my life looks like. But I think I really have rounded a corner; I’ve been feeling really at peace recently because of the second record coming out. The second record is closer to what I think about and what I feel these days and it helps to know that people will hear that and I’ll be even better represented out in the ether. When did you begin work on Historian? I started writing these songs before No Burden. I mean, some of the songs are really old. Like, ‘Pillar Of Truth’ we tried to put on No Burden and it didn’t go to plan, and ‘Nonbeliever’ was originally three different songs, none of which felt finished, but the first of which I wrote in 2011. So a lot of the thoughts I was having then, I’m still having now. And the reason that I picked these songs is that they all centre around a similar idea. It felt like over these five or six years I was amassing a body of work that felt unified. With No Burden we just picked the songs that we wanted to play and there wasn’t as much of a cohesion, and with this one it feels like the concept is a lot stronger. Can you tell us about that concept? So for me it is about a deepening sense of loss and then an encouragement. The album begins with a break-up song and then the next seven songs are pulling deeper into difficulty: loss of stability, loss of identity, loss of faith, loss of home, loss of a loved one, loss of your own life. It gets more heavy. But then ‘Next Of Kin’ is this point of breaking where it has a lightness to it – or an acceptance – and there’s a sense of peace, and ‘Pillar Of Truth’ is kind-of the embodiment of that peace. That song is about my grandma; watching her die and witnessing her dignity and writing a song to honour that. And then ‘Historians’ breaks the rule that’s set up by the album, saying even if you can intellectually accept that you’re going to die, and intellectually know that everything’s going to be ok – or at least that everything’s going to be – that it doesn’t make pain less painful. You have to let pain exist too. Also, I like being able to move at a quick pace. You know, we made this record in a week – which I understand is very quick compared to most people – but it felt like a luxury compared to one day on No Burden. I feel like if you have too much time, you’ll second-guess yourself too much. What was the goal sonically for this record? There wasn’t a goal before the songs existed but once I saw what they were they clearly have a lot of difficulty within them, so I wanted the sound to match that desperate feeling. That’s why there’s a lot of distortion, and a lot of big breaks in the music; it goes very quiet to very loud and back again in waves, just like intense feelings do. And I guess there was a goal to open up to other instruments, like strings and horns and piano or keyboard. I just wanted to do the best that we could for each song. And I wanted to be a bigger part of it, because for No Burden I had to trust just my instincts and work with what Jacob and Collin, and they all went to school for music so I’ve always felt a little inferior to what they’re capable of. But this time around I tried to not feel inferior, and just own that the music was mine, so my taste had to win out. Can you tell us about the significance of the title ‘Historian’ for you? Yeah so the song ‘Historians’ breaks the rule of the album, and I wanted to acknowledge that I was one of the two historians in the song. The whole album is very personal and beyond that, in my personal life, I think of myself as a historian first and a musician and a writer second. All of my creative efforts have something to do with capturing history and staying true to life; kind-of like living in the moment through taking it in and capturing it. 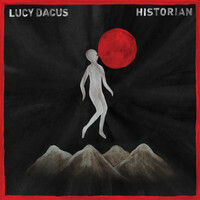 And I thought about how it would be printed, like ‘Lucy Dacus, Historian’. That’s what I see as my profession. But it’s an emotional truth that you’re pursuing? Yeah, it’s more emotional history. What was the personal context behind this album? I guess it circles around a question I am always asking myself which is how to live, especially in the face of trauma and loss, which are two of the most difficult parts of life. And how to combat meaninglessness basically. I had an idea to call the album Posi-nihilism, which I think is too silly, but that is sort of how I describe my outlook on life, which is begin with nihilism and that’s the foundation of your life. But on top of the foundation you build meaning, and that’s ok; just because you build meaning doesn’t mean that it’s fake. And you can know at the base of everything that nothing really matters, but that should be a comfort. Sometimes I remember that and I’m like, “Oh yeah! Nothing matters, I can relax.” And then refocus where I want to put my energy, because you don’t have to put your energy anywhere. It’s a clarifying statement for me: positive nihilism. Do you look at the wider world for inspiration too? I definitely look to that just because you can’t not look at it: you wake up and you’re looking at it. I think it’s common that artists go to a special place inside them to write, or they go to a specific room or they look to books and have a process, whereas my process is simply to wake up and see what’s in my head. I don’t know when I’m going to write, or why. But once I do write, it’s clear what has been pervasive. And the political landscape is horrible, and being afraid of death – mine and others’ – that’s potent. So I’m looking at that. And grappling with my identity as an artist – that’s there too. It is all really personal. I do read books and they do inspire me but the concepts in the books are more important than the story. I don’t know if I would reference ‘Anna Karenina’ directly but to have that example of two characters dealing with the same question and coming out of it differently has been helpful. Also ‘Mrs Dalloway’. Both books share a similarity in that they provide portraits of two characters dealing with the same question of how to live, how to combat anxiety or trauma and in each of the books one of the characters perishes and the other character makes a decision to live. I think I really resonate with trying to understand each of those perspectives. I just want to decide to live, and that’s part of what the album is about. What do you think you’ve learned in the making of this album? I guess I’ve learned the worth of negativity. I used to never make room for negativity in my life. And while I do think it’s good to make efforts to minimise the negativity, some negativity can be clarifying. When something’s bad you should call it bad, and if something isn’t right, you have to know it isn’t right before you can make it right. Sitting in that space for a second is important. And that’s why ‘Historians’ is the last song on the album: like, don’t just push away all the sadness. You can exist in it for a second, because it is informative and it’s totally part of the human experience. So it’s odd to say this but I’ve learned to be appropriately negative. I only have two weeks ‘til the tour and then it’s like the machine’s running. So we start in America and then we come over to Europe in April for three weeks. And I’m working on the third record. I can already see what shape it’s taking, which is interesting. Again, I can’t really force it to become what it will be, but I have an inkling about the direction and that’s really exciting. It feels really right. The next stuff that’s coming does feel like it’s only possible because I’ve established this foundation with Historian, and now everything on top of it will come after this.